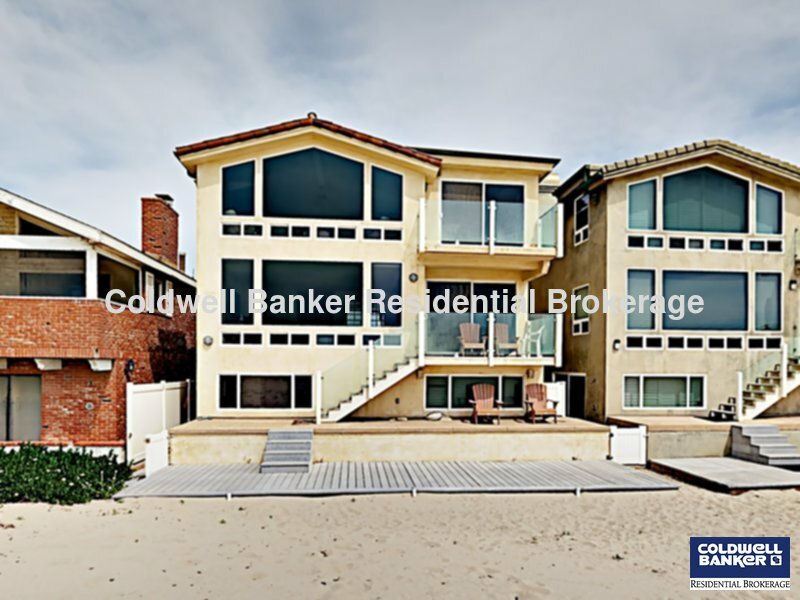 Incredible Ocean & Island Views, This home is on the most beautiful stretch of sand on the Ventura County Coast. This oceanfront home with travertine tile throughout has two separate living areas so it is great for extended family vacations. At entry there is a living area with a wet bar and access to the oceanfront patio on the sand. On this ground level there is also a bedroom with king bed and large screen TV, full bathroom and down the hall a laundry room. On the 2nd floor , you will find the main living room oceanfront with a balcony for relaxing. Large open floor plan with fireplace, dining area and kitchen all upgraded modern appliances with granite counters. A family room with Large screen TV and a sleeping space for kids with two twin beds. The 3rd level of this home has a Master Bedroom with fireplace, large master bathroom and spa tub, with balcony. 2 other bedrooms with queen beds and another bathroom complete this house with large open spaces and a relaxed comfortable atmosphere with spectacular views for miles. The beach is pristine with our Channel Islands Harbor just 1 block away with eateries and many activities , biking, boating, museum, music and Sunday farmers market.